Located on the beautiful Peace River (in Peace River, Alberta) this Private Island is approximately 83 Acres (33.6 Hectares / 335,889 Square Meters) in size. Undeveloped and natural, approximately 75% of the Island is mixed Spruce and Poplar tree growth. This personal paradise / developer's dream is on offer at USD $ 650,000 and Owner Financing may be available to qualified purchasers with significant down payment. Seller would be willing to consider a partial trade of Land or Commercial Real Estate in Alberta, Oklahoma, Texas, or New Mexico. Sisson's Island can be viewed on Google Earth at Latitude 56º 12' 53.50" North, Longitude 117º 17' 44.16" West. 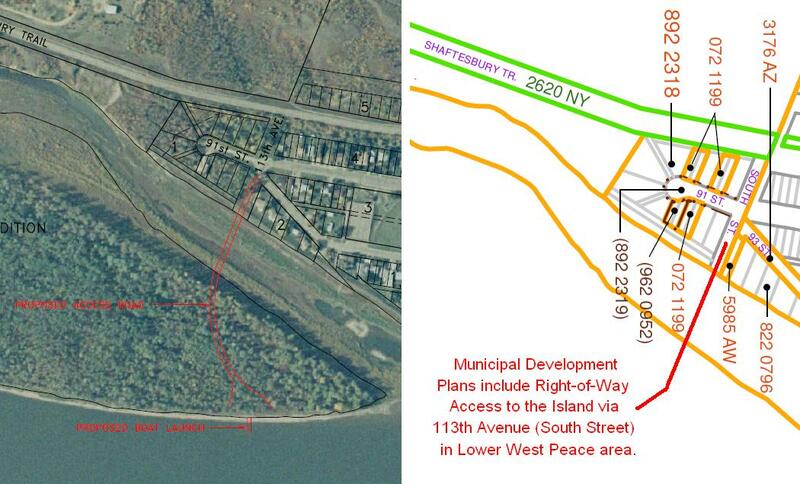 The below image is from a 2005 Survey of Sisson's Island by GPEC Consulting. The original PDF can be downloaded here. The following photographs were taken from one of two local vantage points which offer an excellent view of Sisson's Island. Photograph of Sisson's Island taken from 12 Foot Davis Outlook Point in February. Photograph of Sisson's Island taken from 12 Foot Davis Outlook Point in May. Photograph of Sisson's Island taken from 12 Foot Davis Outlook Point in August. Photographs of Sisson's Island (left 3/4 & right 3/4) taken from Sagitawa Outlook Point in September. Named after long time owner Hal Sisson, this Private Island is locally known as Sisson's Island (although this name does not appear to have been formally registered with the Province of Alberta so naming rights may be available). Zoned as DIR-C "Direct Control District" (see Section 40 / Page 156 of the Town of Peace River Land Use Bylaws for details) this property is referred to in Municipal Planning Documents as the "Shaftesbury Settlement Addition" and has been identifed as a potential location for "Innovative Housing Proposals" which could include mixed density or differing housing types. The Town of Peace River is located in Northern Alberta along Highway #2 (with ready access to Secondary Highways #684, #986, #743, and #744) approximately 486 Kilometers (302 Miles) North-West of Edmonton and 198 Kilometers (123 Miles) North-East of Grande Prairie. The town's location on or near main highways to Alaska, Northern British Columbia, Southern Alberta and the Territories makes it an important ground link in travel and commerce to & from these destinations. As these highways provide important access to the rich natural resources of Northern Alberta, they are considered critical Provincial Infrastructure and are very well maintained. 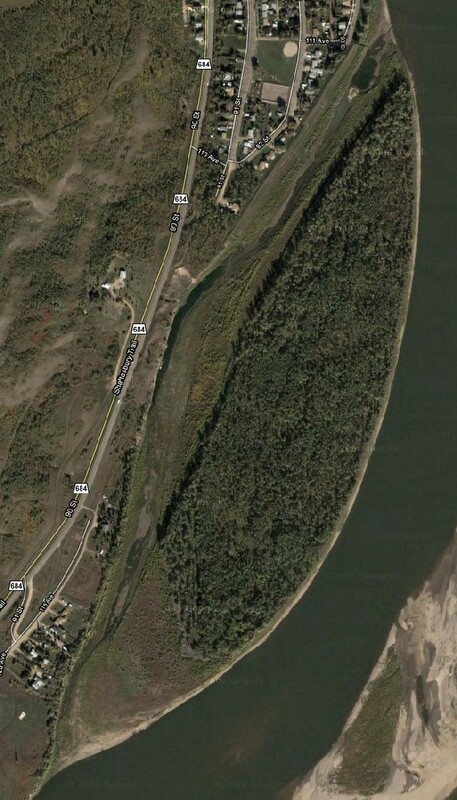 The Highway from Edmonton to Valleyview (located just over 3/4 of the way from Edmonton to Peace River) was recently upgraded and is now a "Twinned Highway" with two lanes in either direction (separated by a wide natural growth median) and is rated for 110 Kilometer per Hour (68 Mile per Hour) travel. In 1792, during his epic journey to the Pacific Ocean, Alexander Mackenzie established Fort Fork on the south bank of the Peace River. 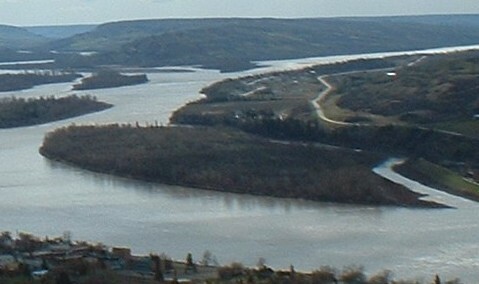 The Fort was located just upstream of the confluence of the Peace and Smoky Rivers, near what later became the Town of Peace River. Missionaries, sent to introduce the Native people to Christianity, were the first settlers to the area and they began to promote agriculture which eventually required reliable river transportation for supplies. Unwittingly, they proved the value of agriculture in the Peace Country; a region which would soon come to be known for both it's agriculture and river transport. 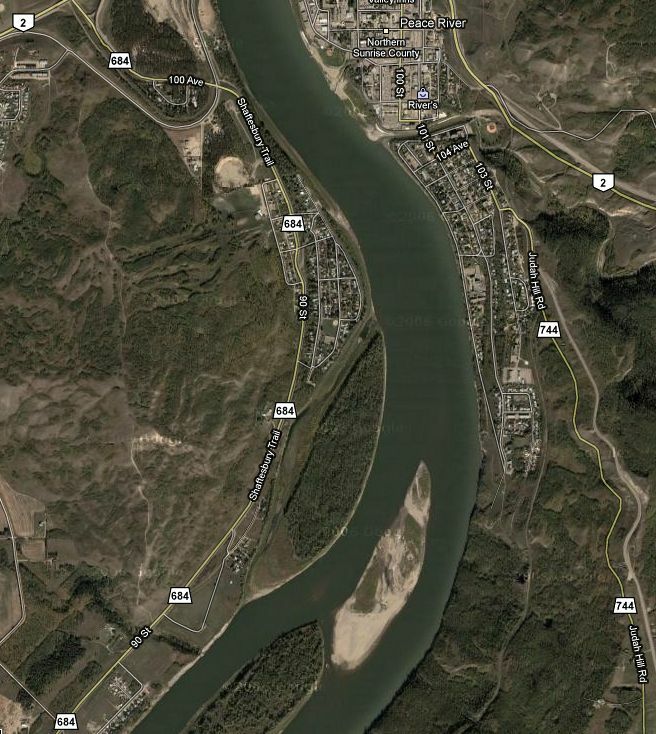 The site of Peace River was first surveyed in 1909 and became "The Village of Peace River Crossing" on June 2, 1914. The name was shortened to "Peace River" on May 22, 1916 and "The Town of Peace River" was incorporated on December 1, 1919. Between 1910 and 1916, rail lines were extended North from Edmonton and this improved transportation brought an influx of settlers and others interested in harvesting the Peace Country of trees and oil. The period between 1926 and 1931 also brought large numbers to "God's Country", as the Great Depression robbed many of a livelihood in Saskatchewan and southern Alberta. In 1921 Peace River had a population of approximately 980 people and had grown to a population of 6,315 people in 2006 (according to Statistics Canada). 1946 saw a brief period of growth and a more rapid population boom began in 1961 with the highest rate happening between 1961 and 1971. Peace River is known for a number of legendary figures, one of the most famous of whom was Henry Fuller Davis who was nicknamed "Twelve Foot Davis" after discovering a twelve foot gap between the edges of two existing land claims. During the Cariboo Country Gold Rush in British Columbia, Davis worked this 12 foot land claim to produce almost $30,000.00 worth of gold. He staked it all on opening a trading post close to where the Town of Peace River stands today. Davis was known to be a generous man who never locked his doors and is considered a representation of the true spirit of Northern Pioneering. Peace Regional Airport is located 10 Kilometers (6 Miles) West of town and is owned and operated by the Town of Peace River. It features a 21,000 square foot terminal building and the primary runway is 1525 Meters (5,000 Feet) long and is capable of handling commercial jet aircraft as large as a Boeing 737. Scheduled Flight Services are provided by Northern Air Charter (Telephone 780-624-1911 or 1- 800-661-1911) and Northwestern Air (Telephone 1-867-872-2216 or 1-877-872-2216). Charter Services are available from Northern Air Charter (Telephone 780-624-1911 or 1-800- 661-1911) and Highland Helicopters (Telephone 780-624-5555). Peace River is the the site of the only Alberta rail crossing of the Peace River which makes it a critical link for servicing the transportation needs of Northern Alberta, Northern British Columbia, and the Territories. The availability of multiple spur lines makes Peace River an attractive site for businesses that require rail transport for shipping. Rail service is provided by Mackenzie Northern Railway which is operated by Canadian National Railways. Passenger rail services are not available in Peace River. 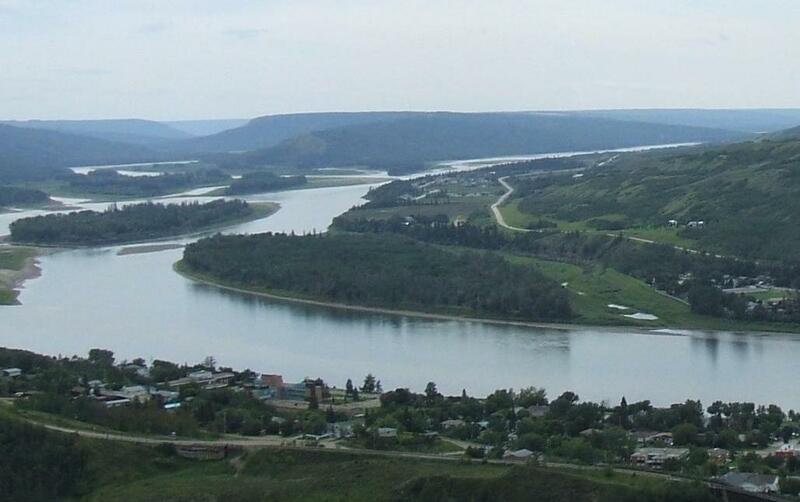 Peace River is enhanced by its strategic central northern location and its excellent connection to the Alberta Provincial Highway System. The Town is easily accessed by Primary Highways #2, #2A, #34, and #35 as well as Secondary Highways #684, #986, #743, and #744. The Peace River Public Transit Project (contact Community Services at 780-624-1000) is a single route system operating on a set schedule. One loop through town takes approximately 1 hour, 15 minutes to complete. Intercommunity Transit & Cargo Services are available through Greyhound Canada (Telephone 1-800- 661-8747) and Charter Bus Services are available through Cardinal Coach Lines (Telephone 780-624- 3538) and Alta North Coaches Inc. (Telephone 780-624-1300). 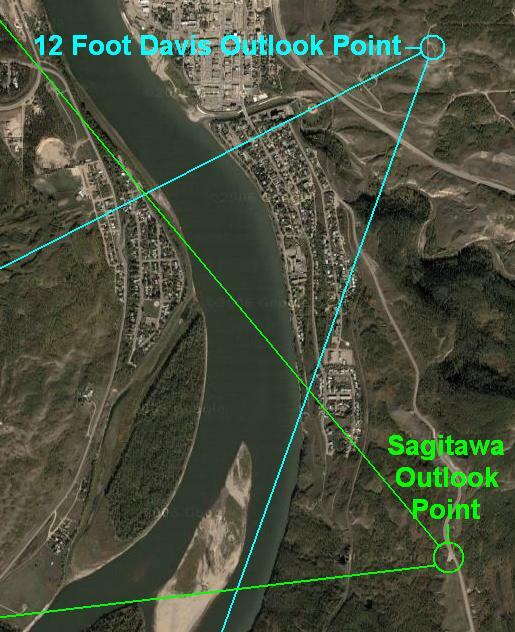 Daishowa-Marubeni International Ltd.'s Peace River Pulp Division is located 16 km north of the town of Peace River. The mill was constructed in 1989 and went into production in July of 1990. The Peace River pulp mill produces approximately 430,000 air-dried metric tones (ADMT) of bleached kraft pulp (BKP) annually. One-quarter of this total is softwood and three-quarters hardwood. The pulp mill was the first of Alberta's new generation of pulp mills and is designed to minimize the impact on the environment by utilizing previously uneconomical hardwood timber and residual softwood chips purchased from neighbouring sawmills. Hardwood species (Aspen and Balsam Poplar) are utilized from the surrounding region where sufficient volumes are available to sustain the pulp mill on a long-term basis. Daishowa-Marubeni has entered into a Forest Management Agreement with the government of Alberta. A single line pulping system produces 1,350 ADMT per day of hardwood BKP, or 1,060 ADMT per day of softwood BKP and Annual wood fibre requirements are about 1.74 million cubic metres of hardwood and 580,000 cubic metres of softwood chips. By employing approximately 350 people, with another 600 seasonal contractors in the Woodlands department, DMI has made a significant contribution to the growth and diversification of the town's and Alberta's economy. The Shell Canada In-Situ Plant is a heavy oil development located 50 kilometres northeast of the Town of Peace River. The Peace River Complex began operations in 1979 and employs about 100 employees. The Complex is currently licensed to produce approximately 2,000 cubic metres (12,000 barrels) a day of bitumen. In August 2004, it produced its 50 millionth barrel of bitumen. 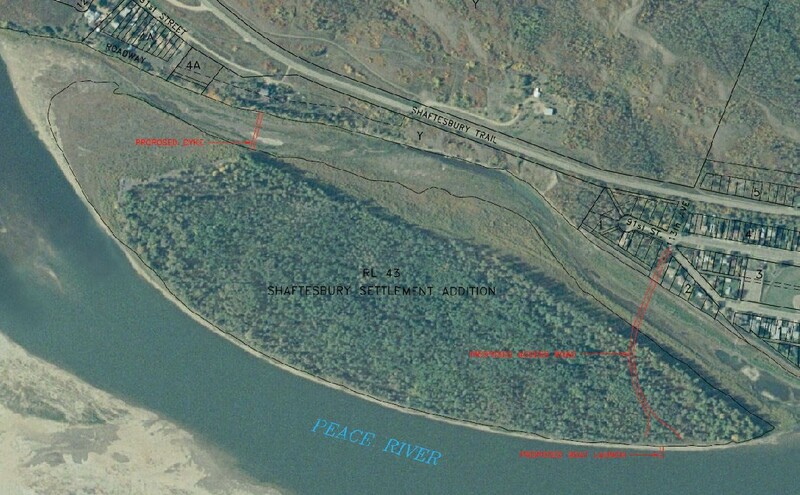 Shell undertook a review of growth options for the Peace River asset in 2004. Based on the findings of the strategic review, Shell is presently undertaking engineering and environmental studies to progress planning and assessment to increase production to approximately 12,718 cubic metres (80,000 barrels) per day of bitumen. This will result in a one billion dollar project referred to as the Carmon Creek Shell Plant Expansion. The oil sands beneath Shell's Peace River leases, discovered in the early 1950s, are estimated to contain about 400 million cubic metres (2.5 billion barrels) of proven reserves. The deposits are too deep to be mined and are too thick to flow to surface using conventional oil production technology. Shell uses enhanced oil recovery techniques involving steam-generated heat and pressure to warm the bitumen to allow it to flow to surface. In keeping with Shell Canada's commitment to Sustainable Development, the Peace River Complex continues to explore new technologies to develop this resource in an economic and environmentally and socially responsible manner. The potential of the Peace River oil sands has also attracted numerous other oil companies to the region including Penn West, Husky, Baytex, Murphy and Talisman. 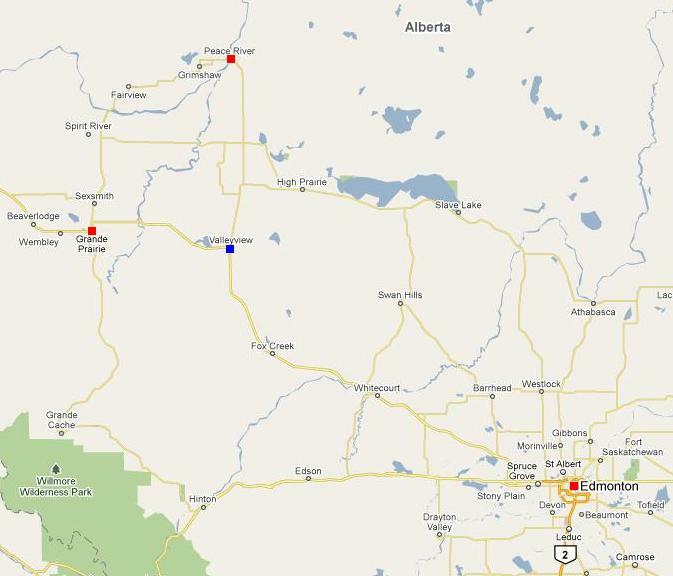 In addition, the town is experiencing an increase in development activity by companies servicing the oil sands industry. The Peace Region contains the purest deposit of silica sand known in North America. 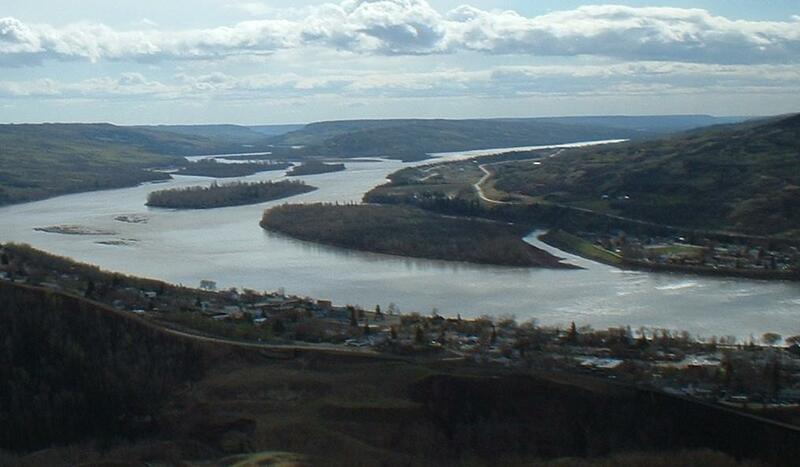 The deposit is about 10 kilometres east of Peace River, and takes in about 3200 acres on both sides of the river. It contains an estimated reserve of 48 million tonnes of silica sand. Bruce Power Alberta is proposing to undertake the development of the Peace Region Nuclear Power Plant in response to anticipated future demand for electricity in Alberta. The project will involve the construction and operation of up to four new nuclear reactors that will provide 3,200 to 44,00 MW of electrical generating capacity for supply to the Alberta Grid. The new reactors being considered include state-of-the-art Generation III reactors of Canadian and International design. The proposed configuration of the project would include either two twin-unit ACR-1000 reactors (i.e. four units) designed by Atomic Energy of Canada; two evolutionary pressurized reactors designed by the European company AREVA; or four AP-1000 reactors designed by Westinghouse. The proposal could see the first unit ready as early as 2017 pending the succesful completion of a comprehensive Environmental Assessment and consulations with local communities. The preliminary economic study predicts that the proposed project would contribute approximately $7.3 billion dollars to the regional GDP over the 10 years that it will take to construct the plant; and a further $320 million per year during the 60 years of plant operation. During the operations phase of the project about 1,900 permanent full-time employees would be required by Bruce Power. It is additonally estimated that approximately 800 outside employment positions would be created in the region due to the presence of the plant (indirect and tertiary employment positions). This is a total of about 2,700 new permanent full-time positions predicted for the region as a result of the project. Peace River offers many Dining options including a wide range of locally owned family restaurants and bars, multiple convenience food outlets (McDonalds, Subway, Panago, A&W, Domino Pizza, Tim Hortons & KFC) and two popular national chains (Smitty's & Boston Pizza). Any Buyer questions / Seller answers will be noted here for your information. 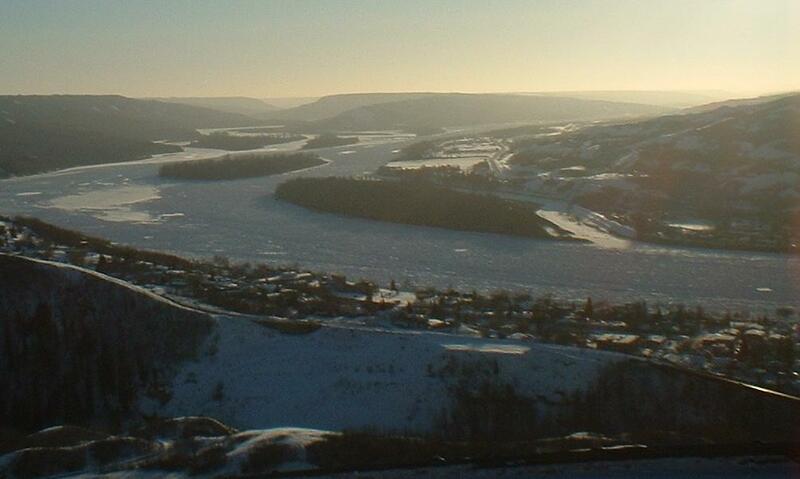 Question: What's the weather like in Peace River? Answer: Please visit The Weather Network for current weather conditions or information about historical weather data.